ROGUE gives you the flexibility you need in all conditions you will meet. 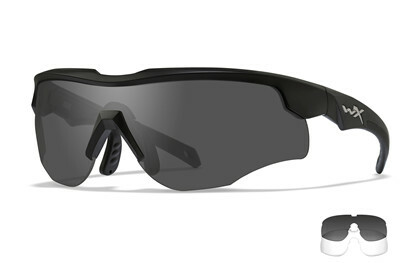 You will have protection anywhere you go with this eyewear - With or without sunlight. These sunglasses are designed for easy changing of optional lenses in the field, for the ultimate in versatility. The WX curved temple system provides you with a secure and comfort feeling that allows you to move fast and quickly without compromise the safety the eyewear provide. The 360° Nosepiece that can be adapted to all nose sizes and shapes brings the eyewear to a high level of comfort.